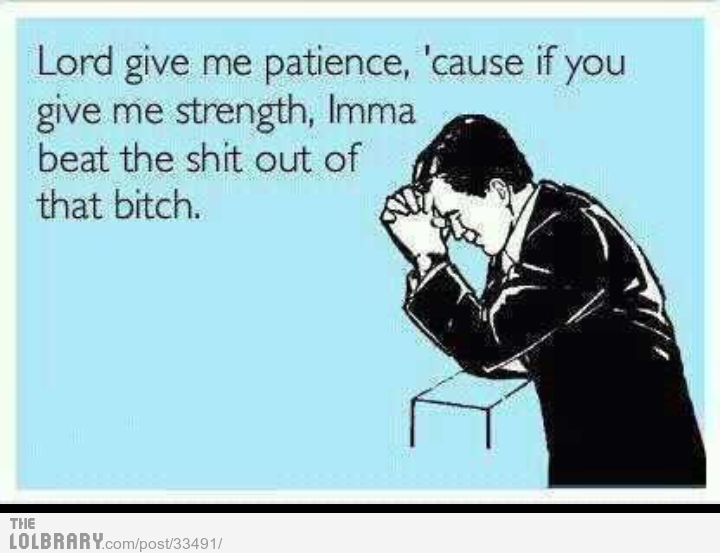 Patience has never been one of my virtues. And when I say never, I mean never. I am one of those glass breaking, throwing things around, hurling abuses kind of person when I get angry. Normally it takes a lot to tick me off, and I explode only when I'm provoked. But when I do, then God save the world. Believe me, I've done some dangerous things when I've got angry. Its just for that moment or two, after that I settle down like nothing ever happened. People close to me recognize this pattern of mine and play along beautifully. They listen patiently as I spew my guts out and walk away leaving me with myself for a while. A few minutes later they come back and we talk peacefully. Until that topic is mentioned again. If it is, then the cycle repeats. Well, I'm not here to tell you guys how demented I am. You all know that irrespective of what I post. 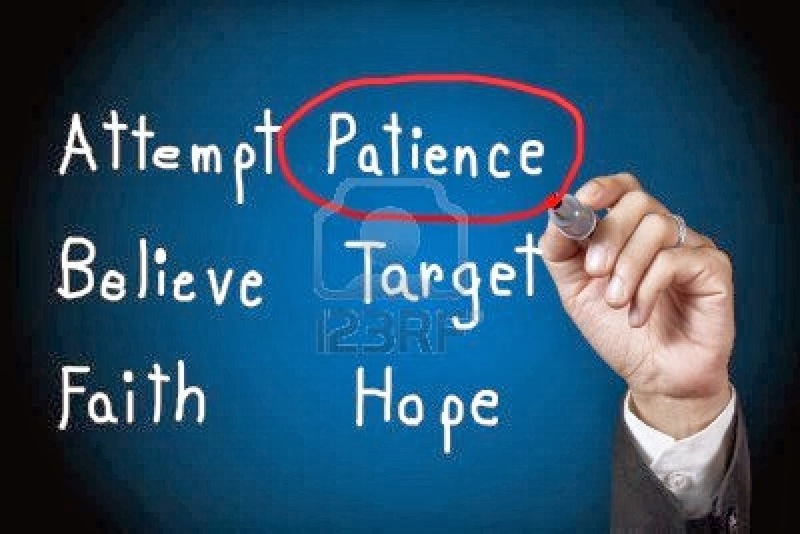 The thing is that I've now realized how important this tiny thing called "Patience" is. Post marriage, I might have become the epitome of patience. No, I'm not blowing my own trumpet here. This is what Cal has to say. I've never sat down and pondered over it to figure it out. Seriously, who has the time for that these days? But yeah, I have become a more peaceful person now. 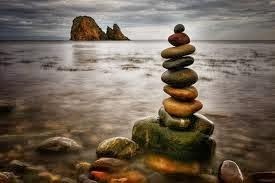 I feel it within as I take things very easily and lightly of late. I don't take too much pride in it, because my husband is the very reason for my sudden cool temperament. He loses his patience at the drop of a hat and it is very difficult for him to cool down. The best part is that he doesn't lose his patience with me ever. I too am the same. I don't know why it is this way. Maybe this is what you call as love. But I somehow have managed to stay on a level with other beings too. Ignoring a few issues and people, at times, is the best thing to do. And more importantly why do you have to give away free room in your mind to clearly undeserving folks. Cal and me are pretty much alike. And the way we think and interpret things is also the same. Well, most of the times at least. Till date I can proudly say that we have never had any argument. The third person(s) has come in more times than one trying to create a rift among us, but we both know better how to deal with such things. Cal doesn't like the intrusion of other people and usually flares over it. But I know that these kind of people exist and they thrive on making the other feel bad. I never think about it for more than a second or two. I have to stay calm, because I know that if I erupt there is a neighboring volcano waiting too. As a partner, I believe in being there for my husband. Supporting him when he's right and correcting him when he's wrong. I sit with him and talk to him about the situation and manage to get us both out of it. Its very easy for me to just shout out my anger and get it out. But its not something that I want to do. No, this is not some brave attempt at trying to save my marriage and all that jazz. It just is the right thing to do. And no, its not a compromise I'm making. Hell, I did not even realize that I had calmed down until my husband pointed it out to me. 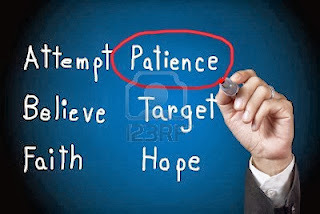 Patience probably is a virtue, but it sure is something we can cultivate too. No need for meditation, anger management classes or any other big words. All it needs is time and understanding the situation at hand. And most importantly the people involved. If someone you hardly care about did something wrong, what is the point in breathing fire? If you do not care about him, why do you care about what he did. Well, unless he tried to kill you or something. Its really funny that I am the one preaching this. If any of my exes are reading this then they will be laughing their asses of. You see all these emotions lie in the mind. Its also up to you as to what you let into it. Discard old emotions and rotten people like a used condom. Sorry for the metaphor but yeah, that is what I feel about it right now. Don't hold on to something that happened eons ago and scream bloody murder at the mention of it. Just let it go. Its only eating you up from within. Tomorrow if someone tried to ruin what ever is that Cal and I share, we would care two hoots about it. As the only people who can hurt us are each other. And we know better not to do that. You can keep on poking your voodoo dolls harder and harder and improvise on your black magic, but nothing shall take us down. You can be King Bruce and try and try again. We'll just sit back and watch Karma take you down. Way to go. Some people do not let past be past and broods over it and accuses others of what happened twenty years ago and cries and wrecks havoc. In my family. Well you CANNOT change people. Instead you can change yourself and turn a blind ear to those people who cannot see the present and whines about history. That is my policy too, and those who cannot be that, are not my friends. People have tried to hurt, pull me down not several but hundreds of times and I held on strong. But in the process I may have hurt my hand but it only got stronger. I cannot agree with you more on this. This is a very thoughtful post. And I hope more people who live in the past realize that they are reusing used condoms. Exactly. Its the story of every family I guess. enjoyed reading ur journey towards this panacea called patience. Patience is an art soumya...which if mastered can weave magic! and I'm saying this outta experience...it feels amazing when everyone is pulling their hair out and u sit there quietly, smiling, and thinking a way out of the situation.